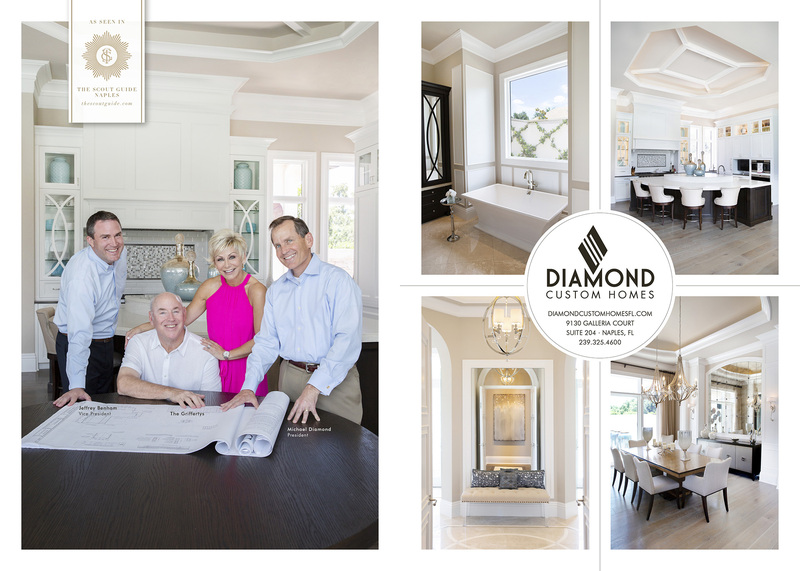 Diamond Custom Homes is proud to announce their second appearance in Naples’ The Scout Guide Volume 7. This prestigious publication highlights the finest independently owned businesses in the Naples community…. Naples luxury homebuilder Diamond Custom Homes has announced the construction of Sandy Lane, a 9,523 total square foot estate home in Quail West Golf and Country Club on Highcroft Drive….